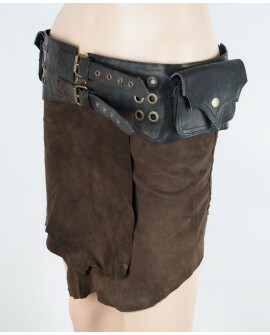 Leather pocket belts, hip bags and waist pockets. 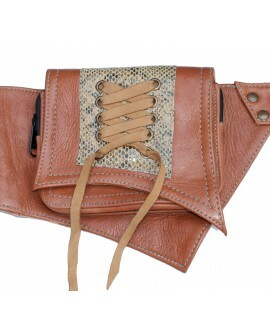 Perfect for travelling and festivals. 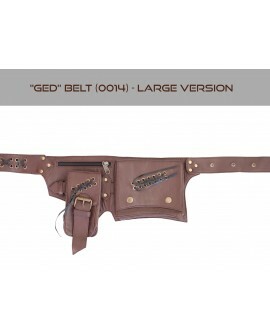 Equipped with various size pockets to store your valuables, including secret pockets that are only accessible from the inner part of the belt. Perfect to store your passport. 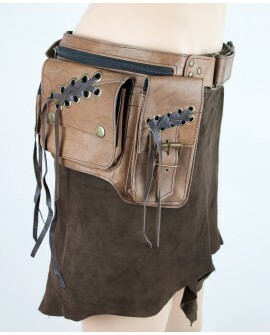 Large pockets, genuine leather steampunk belt bag with multi pockets. Perfect for festivals and traveling. Secret pockets for your passport and valuables. 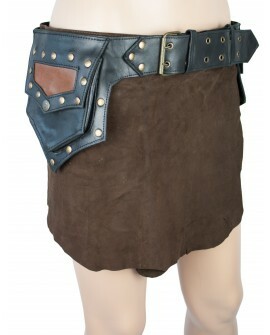 Steampunk belt with pockets made of strong leather. 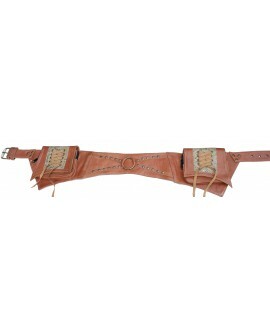 Complement your steampunk outfit with this festival belt. 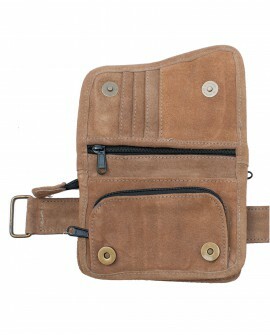 Perfect for travelling as it has passport secret pockets. 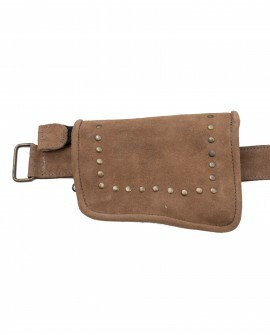 Classic waist belt bag made of strong leather. Organise your pockets better next time you go travelling or for festivals. Store your passport in secret pocket! 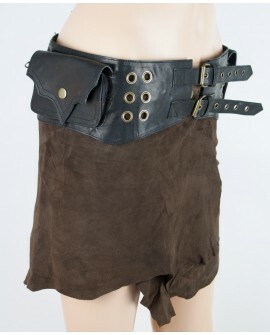 Steampunk pocket belt with secret pockets. 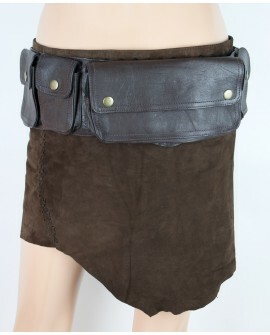 Perfect for festivals and travel. Our main seller in summer 2017. Get organised this festival season! 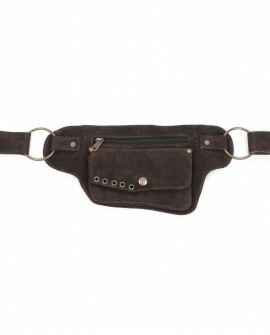 Multi pocket belt bag made from strong suede leather. 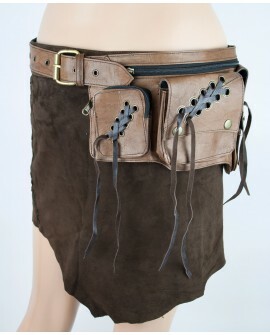 Perfect for travelling and festivals. 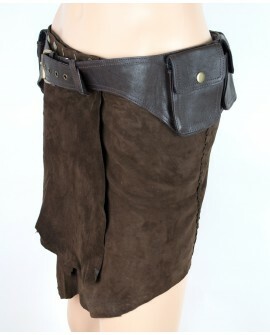 It has several hidden pockets to store your valuables. 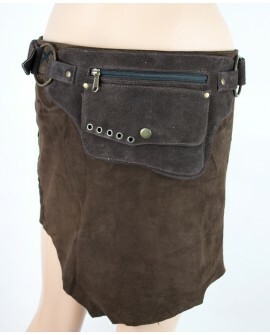 Lots of pockets to store your things away while you dance, travel and in every day use. 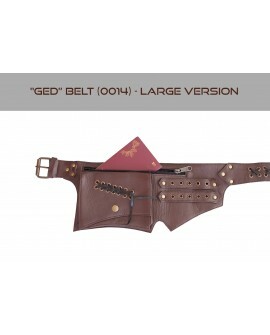 One pocket is detachable and you can use it with any other belt. 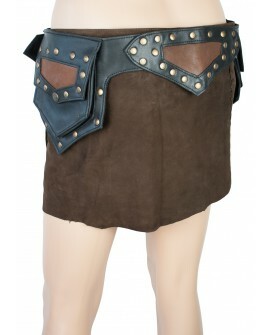 Instead you can attach other items to this belt, including water bottles and such.